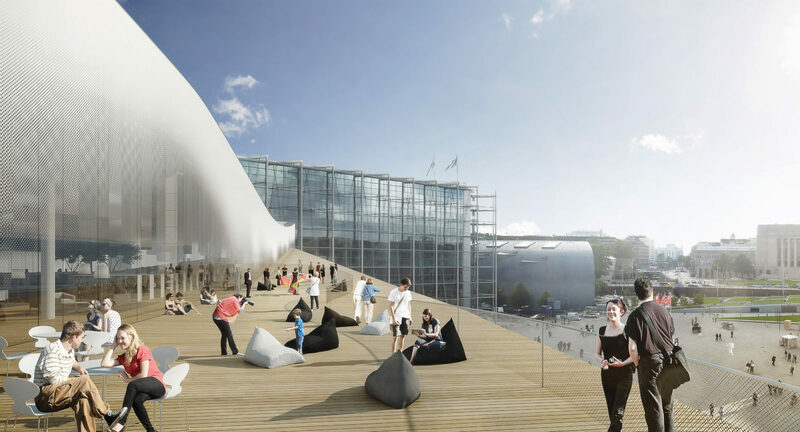 The new Helsinki Central Library Oodi has been in the news over the past few weeks due to its impressive design and structure. Building of the central library started in fall 2015 and it will be completed in 2018 to celebrate the centennial of Finnish independence. Oodi means the ode: it is an ode for #libraries in Finland, for reading, for democracy and for Freedom of Speech. 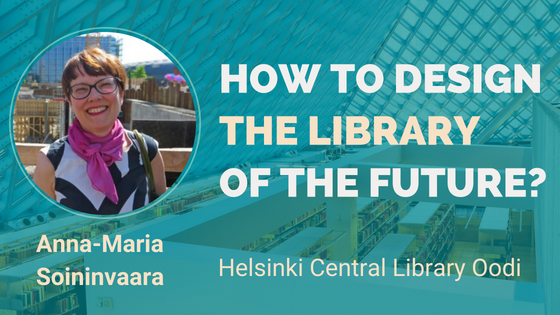 To find out more about the impressive building and what it takes to design the library of the future, we’ve had a chat with Anna-Maria Soininvaara, Director of the new Oodi Central Library. Check out her thoughts below! 1. Can you tell us a bit about yourself and your work with public libraries? Since June 2017, I have had the most interesting job as director of our new central library Oodi. Before this, I worked as deputy library director for the Helsinki City Library. I was responsible for collections, development, HR and finances – which is similar to the tasks I undertake now in my current role. While at this stage, the Oodi library building is not open yet (it will be ready for use in December), I am very much involved with the administrative issues. I try to negotiate partner agreements and plan the future organizational structure with our team leaders. 2. How is the library’s organizational structure going to look like? In spring, we recruited 53 employees, including two service managers and two service administrators. Together with them, we recruited the other staff members. It was an internal recruitment within the Helsinki City Library as we did not get any new staff vacancies for Oodi. 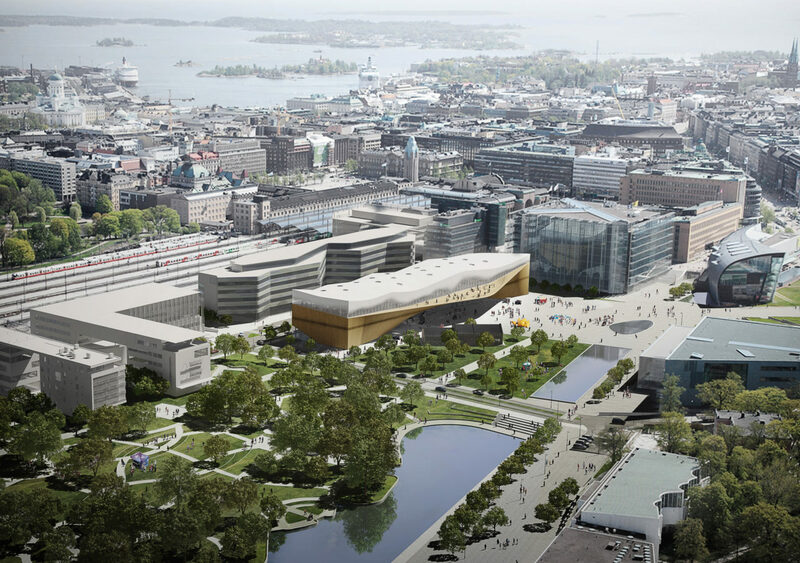 That also means that the entire Helsinki City Library network of 36 libraries is in a rapid and deep process of change. We are organizing the work, both in Oodi and in other libraries, into teams that can then change members from one library to another as needed. Oodi is going to be a kind of development unit, so it is important to get both the innovative practices and to share them to all other units. At Oodi we tried to carry out an even more revolutionary change; to not have its own permanent staff but instead, have staff that would circulate with other libraries. However, this was not possible according to the City of Helsinki’s HR rules. Therefore, we hired people with the provision that everyone must work in some other library at least ½ year in a 2-year span. This is to keep best practices and know-how circulating throughout all the libraries. 3. What is the main purpose of the building? At Oodi, we will have 54 library staff members but others as well. We have already made partnership agreements with different organizations and local authorities; for example, the city planning department’s showroom, the city’s other department services for small children (playground) and teenagers just to name a few. Oodi is a big #library. In fact, it is the biggest public library in Finland. However, it will not only be a library, it will also become a #community center. We are trying to make the building as attractive as possible. It is situated in the very center of the city – this is why it is referred to as the Central Library. It is in the best location, with beautiful architecture along with very expensive rent. It is clear that the citizens expect to get the best a library can offer. In addition, that is the reason why we do not have much space dedicated only to staff as we do not want to waste this beautiful and expensive space just for office use. We want to have as much of the space as possible available for all users to come and enjoy. 4. How did you come up with the plan for the new library project? Customers’ opinions have been valuable and much used during the whole planning process, from the first project plan in 2010 to the furniture plans this year. One of the first bigger campaigns was collecting so-called ‘dreams’ for the library. We got more than 2000 different ideas, which we examined before making the early plans for the architecture competition (which took place 2012-13). We continue to think about how we can keep up with that attitude; to let our customers be involved in the library’s development processes. We hope that people will enjoy the new services, the bigger maker spaces, the quality studios, and the many learning opportunities that will be available in Oodi. 5. How is the library going to be structured? Oodi is like three different buildings in one building, as it contains three distinct environments. The first floor is more for partners. There is a film theatre, a restaurant, Europa Experience, the city’s information desk (side by side with librarians) and the city planning showroom. On the second floor; we have all the maker spaces, studios, gaming rooms, customer kitchen, group-working rooms, and a big reading room. We also have a new kind of event room with intelligent digital walls. Also located on the second floor are the small offices for our staff and for our partners. The third floor we call the ‘Book Heaven’; with a roughly 100,000 item book collection. We also have the family spaces, with children’s books and some digital learning materials. For example, there is a virtual reading fox doing the same job as a traditional reading dog. The third floor also has the most beautiful view over Helsinki, with a balcony to sit and look at the parliament’s building located directly opposite Oodi. We are going to have some joint events with the parliament library to take advantage of having two democratic institutions looking at each other across the main street. We’ll talk more about culture, reading and learning issues. 6. How are the dynamics at the library going to change compared to a more traditional library? We plan to organize, or co-organize with our partners, many events and workshops each day (every morning and evening) – with opening hours from 8am to 10pm on weekdays, and 10am to 8pm on weekends. Oodi #Library is a development unit in the city where we constantly try to find new methods, the latest trends and constantly improve our own processes. Currently, we are thinking about how to organize the teamwork with a self- management principle. We try to jump over as many barriers as possible to avoid a hierarchical organization, to make Oodie a workplace where everyone can give their best and change the direction if needed. All this with our customers too of course. The library building will soon be ready, and the grand opening is on 5th December. The library as an ever-changing organism will never be fully ready, but it will be all the better because of that. 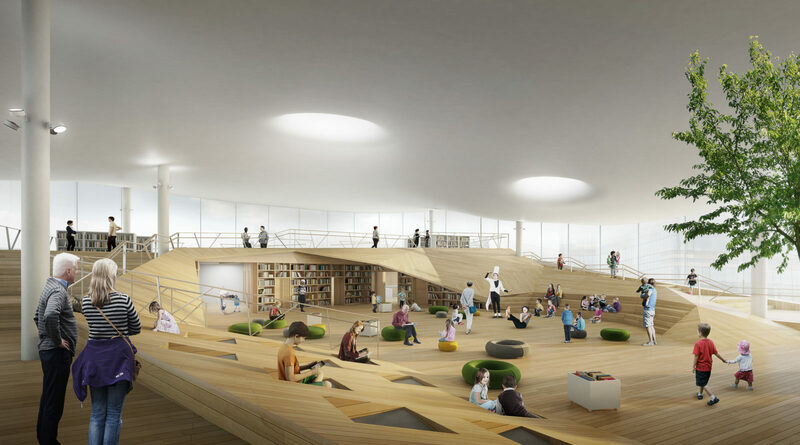 We estimate that the 10.000 m2 of the Oodi #Library will attract approx. 10.000 visitors per day, reaching 2.5 million visits per year.